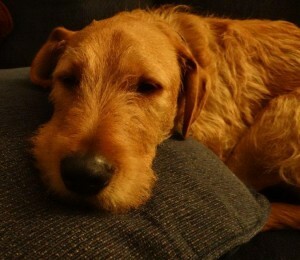 Golden Boy Urgently Seeks Home ! Please think seriously about our young Henry, who, through no fault of his own, isonce again looking for a home. 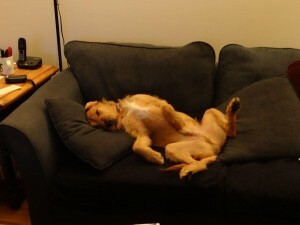 His previous placement proved not to be a good match and he so much wants another chance for a forever home of his own. Henry is a sweetheart. He is extremely affectionate and wants nothing more than to please his owner and be loved in return. He is at his happiest lying at his human’s feet or sitting next to that person resting his head on the individual’s lap. 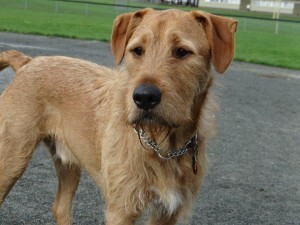 This Terrier mix is a very clever fellow who learns quickly through the use of reward-based training. He needs stability and consistency in his life plus mental challenges to get those Terrier brains working. We are stunned at how similar Henry’s size and behavior is to that of a purebred Airedale. He enjoys a lively round of “bitey-face” and offers enthusiastic play-bows, clearly hoping for a spirited game of “chase”. If you like to laugh, Henry will keep you in stitches. At the same time, Henry also needs some definitive, positive leadership to discourage pulling on leash, especially in the presence of a rabbit or squirrel, and help making good decisions. Henry is a really handsome animal with caramel-colored fur and a “lion’s” mane running down his back. He is neutered and up to date on vaccinations. This boy loves to play with other dogs but his play can be boisterous at times, as is common to young Terriers, and he has a strong prey drive. We believe that he will do best in a home with another dog his size. We do not recommend that Henry be placed in a household with other small animals such as cats or rodents. 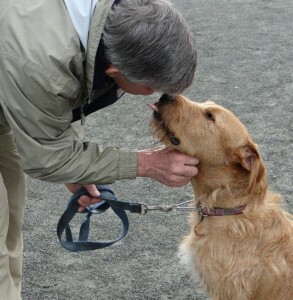 Off leash, Henry meets and greets dogs he may encounter with friendliness. He has been running very successfully with small groups of dogs under controlled circumstances. Being young, his play at times becomes over-enthusiastic and he needs to be reminded to tone things down. He will “listen” to other dogs who give him this message as well. When meeting strange dogs on leash (or joggers or cyclists), Henry reacts well to the “sit” request and can be settled nicely through the use of the “Open Bar Closed Bar” method. Henry likes children of all ages but we would prefer, because he is easily excited, to place him in a family where any children would be 10 years old or more.Henry is not fond of being left alone. He is not destructive but complains enthusiastically until his family arrives back home. The complaints are significantly reduced when he is left with another dog during the family’s absences. He can be crated with ease when necessary. This dog will prove to be a wonderful companion for a family where everyone is able to demonstrate firm and positive leadership and who will agree to continue his training on a daily basis. Henry is our very special “golden boy” and deserves a very special loving home where he can live happily ever after! Henry came over with his foster family and played with our smallish Border Collie X, Alice. He is so good natured and loving! His manner with Alice was perfect and he happily engaged in games of chase and steal the stick. Alice can be quite bossy and dominant and Henry was happy to let her lead. Henry also behaved in a very gentle and calm manner towards my two children. We only had two visits with Henry but my impression of him is very positive! I anxiously await the day I hear he is happy in his forever home. 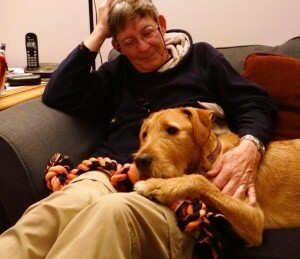 Cindy – we have two Airedales, one 18 months and one 11 years, and they are the best of friends. It is hardly any more work having two than one and it is LOADS of fun. 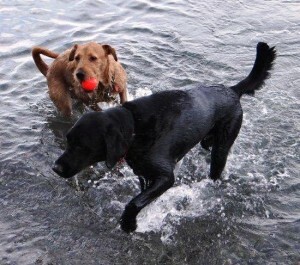 We will always have two dogs. When our old boy goes, our youngster will be heartbroken – she worships him. Cindy, I emailed you privately because I am not sure what other information you would like. Henry is indeed house-trained. Henry continues to look for a new home. There have been a number of inquiries about adopting him but most people asking have been too far away. Shipping Henry to Ontario or the eastern USA would be very hard on him and extremely costly. We would much prefer to keep him in BC. He is a VERY nice boy!! oh what a cutie… if i did not have a beautiul kitty at home, I would consider Henry..
good luck with finding a home little buddy.. Thank you for your interest in Henry. If you would please fill out an application someone will get back to you shortly. Can you please tell me where abouts Henry is living at the moment? I would love to meet him as his story and pictures have captured my heart! We have a large labradoodle who looks surprisingly similar to Henry and I just know they would get along. We also believe in being strong “pack leaders” on a daily basis which is something he clearly needs. We live in Victoria though- what are the chances he is too? Kim, please check your email or your Facebook private messages for more information regarding Henry. Please check your email for my reply. 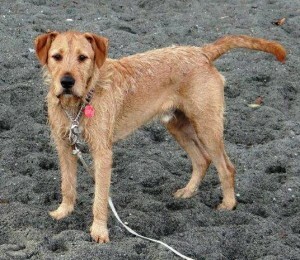 Henry is presently being fostered in Victoria. Has Henry found a home yet ? Thank you for your interest. Henry’s adoption is pending. He is currently visiting the family who is interested in adopting him.